Even if you've been successfully marketing a business for years, inbound marketing is a whole different ballgame. Small business owners have to embrace some new realities. First, consumer behavior has drastically changed over the last decade. We went from being pushed and prodded into a sale to now making our own choices and learning how to block any interruption coming our way. As the consumer has changed, so must the marketer. We are a new breed of marketers. This new breed we belong to are the special forces of marketing. We have taken everything we have learned about what it takes to generate an ROI and put it into our service offerings. We are passionate, driven, and infatuated with the results-driven culture. We exude this culture so much that it may drive some people away. But that's OK. We want that. We want to work with the right people. 7 Reasons Why You Will Hire Rizen! Love Networking. We Study People & Interactions. Uphold Giver's Gain (by giving business to others, you'll get business in return). Write Well. Hire Awesome Writers. Grammar Nazis. Check Each Other. We're Ridiculously Good Looking (helps in videos). Return On Investment. Statistics. Probability. Test Hypothesis. Graph Data. Reporting. CPC, CPM, CPA, PPC, SEO... we could go on. Traffic, Leads, and Sales, PERIOD! Facebook, Google+, Linkedin, Twitter, you name it, we're there. 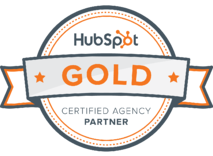 We love inbound and what it means to implement it for a business. We're more than just an SEO Company, we are an Inbound Agency. We have seen it help businesses achieve success and we believe that there is no other, more effective mediums to generate new customers. Learn more about us and how we can help your business grow!